The Mesa County Sheriff's Office said the man was found dead inside a house in Grand Junction on Saturday evening. 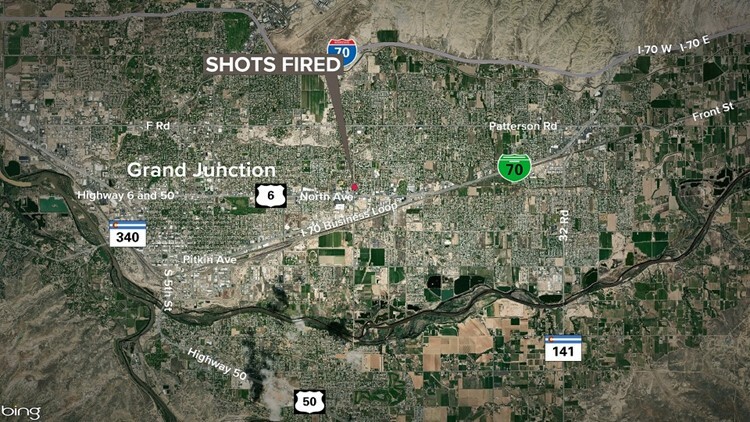 GRAND JUNCTION, Colo. — A 36-year-old man is dead after a standoff with deputies Saturday evening. According to the Mesa County Sheriff's Office, deputies were called to a home on the 2900 block of Bunting Avenue in Grand Junction about 6:42 p.m. Saturday on the report of a suicidal man with a gun. Upon arrival, deputies found a man holding a shotgun. During the incident, deputies fired shots at the man, who retreated into the house. Sometime later, deputies entered the house and found the man dead with a self-inflicted gunshot wound. The man also sustained what the sheriff's office described as four nonfatal gunshot wounds from law enforcement. The officers involved in the incident were identified on Tuesday as Sgt. 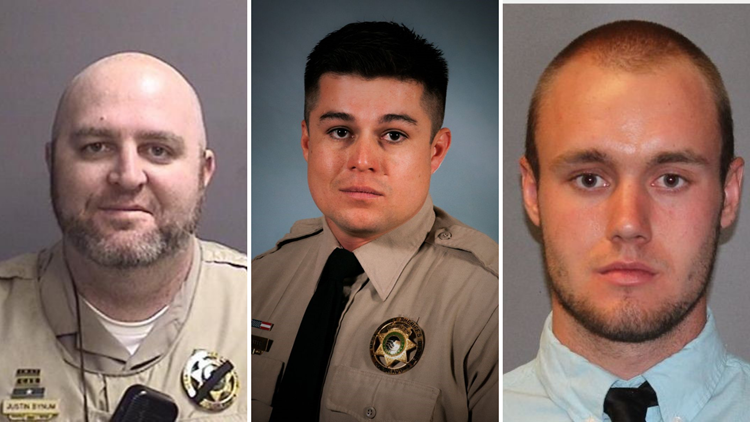 Justin Bynum, Deputy Caleb Harper and Deputy Brandon Worley. According to the Mesa County Sheriff's Office, two of those officers fired duty weapons and one used a less-lethal weapon. Sgt. Bynum is a 12-year veteran of the Mesa County Sheriff’s Office. He has served as a member of the Street Crimes Unit, Western Colorado Drug Task Force, SWAT team, Critical Incident Response Team, Academy Instructor, and is currently a patrol Sergeant. Deputy Harper is an 8-year veteran of the Mesa County Sheriff’s Office, who has worked as a detentions and patrol deputy. He has been a member of the Shakedown Team, is a Defensive Tactics instructor and is a recipient of the Life Saving Award. Deputy Worley joined the Mesa County Sheriff’s Office in April of 2018. The deputies have been placed on administrative leave, as is standard policy. The Mesa County Coroner's Office will the identity of the man who was killed. The 21st Judicial District Critical Incident Response Team will investigate. The team is made up of members from several police departments in Mesa County as well as the Colorado State Patrol. Anyone who might have heard or witnessed the incident, or anyone with cameras in the vicinity, is asked to call the Investigations Unit of the Grand Junction Police Department at 970-549-5208. Ask to speak with a detective..